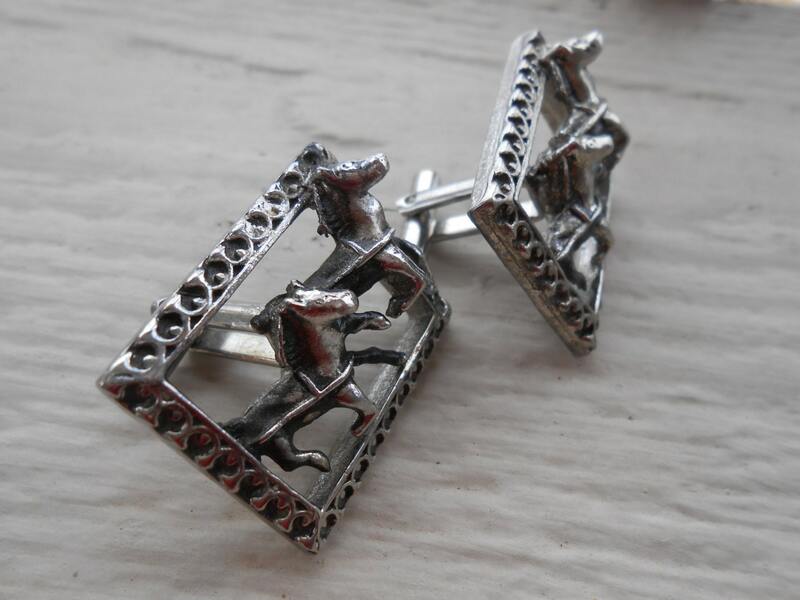 These vintage cufflinks are big and feature what looks like a racehorse. 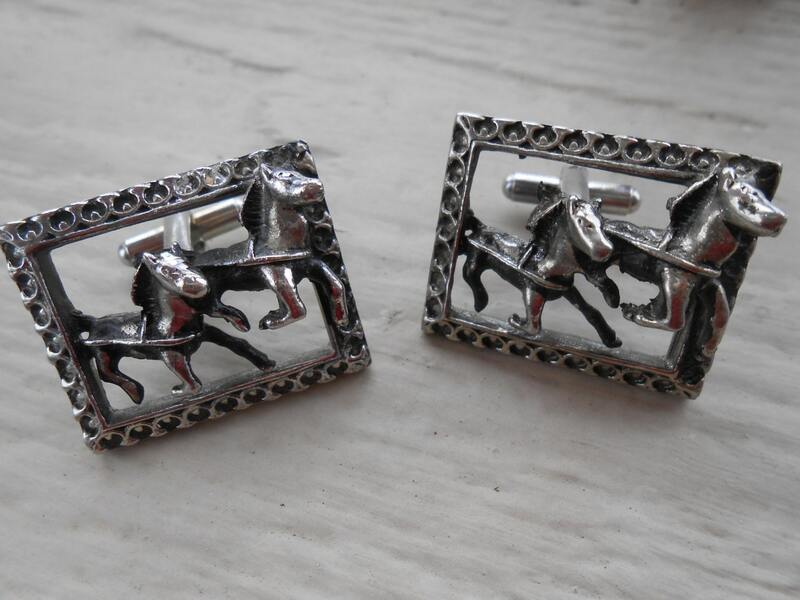 They are very unique! 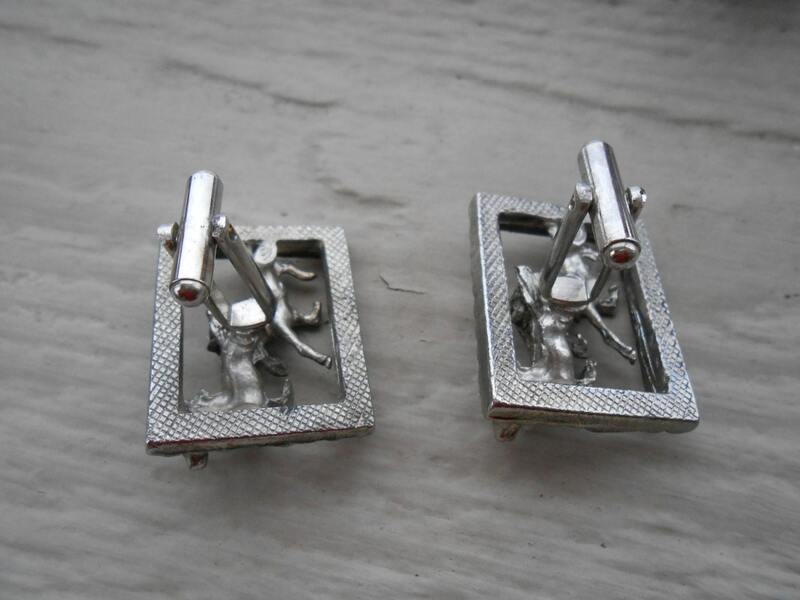 They measure 1 1/4" wide x 1" tall. 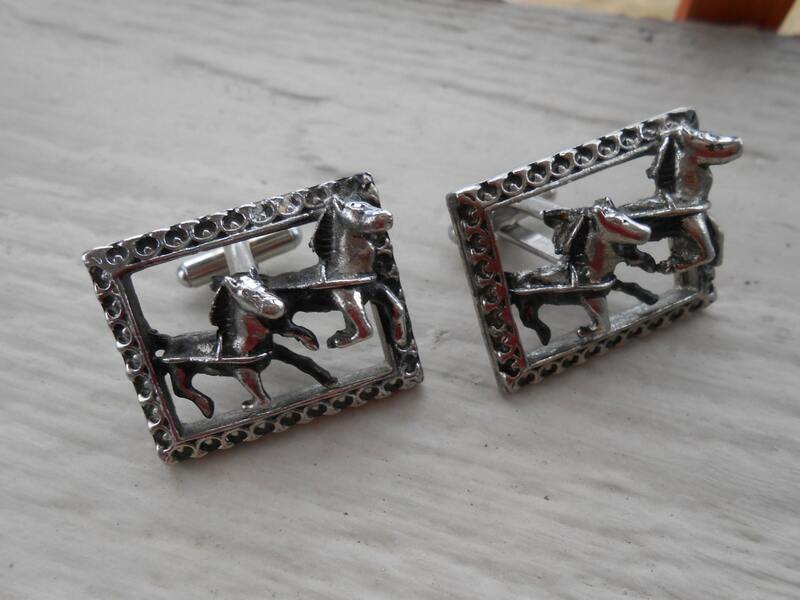 They are a silver tone and are in really great vintage condition. 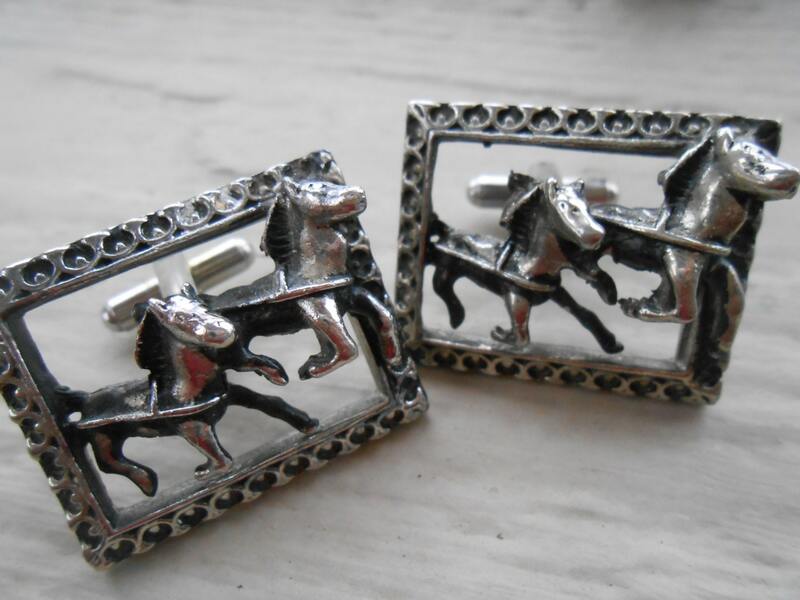 You are sure to be noticed with these cufflinks!